NFL Running back. Houston, Texas. Vegan? 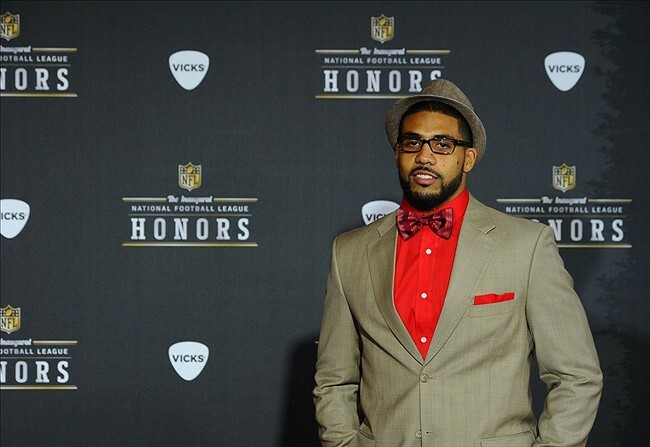 No, this is not the Twilight Zone - believe it or not, Arian Foster of the Houston Texans has enthusiastically (and quite intelligently, if you check out his twitter feed) embraced a vegan diet. His teammate, the Left Tackle for the Houston Texans, Duane Brown, tweeted back "I wanna join the movement bro! Don[']t feel like I'll be able to keep my 300+ frame tho man help me out ", to which Foster replied "Let's do this". Arian isn't the only major athlete choosing kale over cow, just check out our Pinterest "Brutes" board for some others. Even ESPN is chiming in, saying that, "News of Foster's diet decision caused a social media uproar". We at The Discerning Brute also think that Foster either has a great sense of style or a rad stylist. 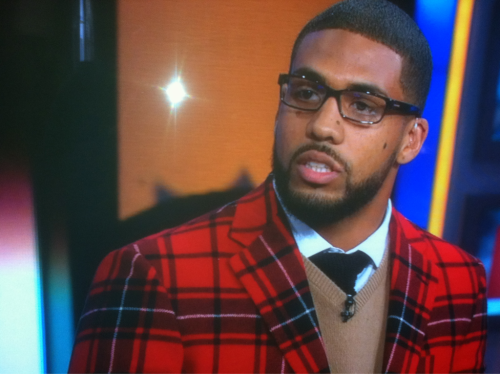 Off the field, this dude is always in tip-top threads looking dapper as hell. Exhibit A, B, C, and D.